Here’s a lovely home in southwest Redding. A 1968 sqft 4/2 built in 1970, but extensively remodeled in 2013. Tastefully renovated home with room to spare! 2013 improvements included new carpet, laminate floors, warm decor paint scheme, crown mouldings and window trim. New doors custom closet kits, custom tile bathrooms with new fixtures. Expansive family room with rock fireplace & pellet insert stove, opens to the covered patio. Vinyl windows, fenced back yard, gated boat parking. Finished garage. Cul de sac location in an area of great loam soil and many tall trees. Sale includes appliances and refrigerator, along with washer and dryer. Large newer spa on back patio available for separate purchase. A few more images of this southwest Redding Ranch Style home at the link. Call or Text (530) 356 4500 to schedule an appointment. 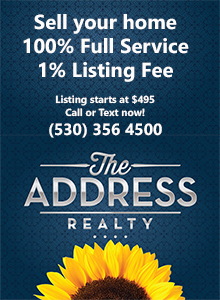 Or see your Shasta MLS REALTOR for a showing. This entry was posted in New Listing and tagged New Listing on April 7, 2014 by Skip@RHB.